Fee-paying courses for local students are available for many postgraduate degrees. For these courses you are required to meet the full cost of your course by paying the tuition fee up-front. Payment of fees includes deferring your fees to the Australian Taxation Office if you are eligible for FEE-HELP. Australian citizens, Humanitarian visa holders and eligible New Zealand citizens (who meet the criteria for assistance) will also be eligible to defer their fees to a HELP loan with the Australian Taxation Office (ATO). FEE-HELP: available to assist with the cost of your units of study. Please Note: If you are a Permanent Resident (non humanitarian) or New Zealand citizen (non eligible SCV holder), you are not eligible for any HELP loans for your studies and are required to make all payments 100% upfront to the University by the relevant session Payment Due Date. a holder of a permanent resident (non humanitarian) visa and you are undertaking an approved bridging course. A bridging course is typically a course allowing a student who has overseas qualifications to update their skills. you are not eligible for FEE-HELP if after January 2012 you have commenced a new course of study and are primarily undertaking that course of study at an overseas campus affiliated with Macquarie University. Once having exceeded these limits you must pay your fees upfront to the University by the relevant payment due date for each session of study. Students who reach their limit will be required to pay any overdue amount directly upfront to the University. You can find your total usage through the Government UniAssist pages. Please note it will not show your current session usage so please check your Commonwealth Assistance Notices for your latest usage. You will also be able to view your FEE-HELP here if you have been a student previously. You will be able to use your CHESSN to access your FEE-HELP Balance on the Study Assist website (operated by Department of Education (DOE)). What happens if you exceed your limit? If you do exceed your limit, you will be required to pay the excess fees upfront to the University. This may also mean that your account will be sanctioned and there will be restrictions placed on your enrolment and grades. From 1 January 2016 some New Zealand citizens will be eligible to access the Higher Education Loan Program (HELP) which allows students to defer the cost of their tuition fees. Furthermore – but for 2016 only - these eligible New Zealand students in a Commonwealth Supported Place will also be eligible for the 10% discount on any payments of $500 or more, made upfront to the University by the relevant payment due date in 2016. Please note: from 2017, the 10% upfront discount will no longer apply to any Commonwealth assisted student. Please note: if you are, or become, an Australian permanent resident you will not be eligible for this HELP assistance by the Government. How do I know if I am a SCV New Zealand Visa holder? If you are unsure whether you are a New Zealand Special Category Visa holder, you will be able to check this on the Visa Entitlement Verification Online (VEVO) system. You can also check with the Department of Immigration and Border Protection. If necessary, you can also obtain copies of your international movement records from the Department of Immigration and Citizenship by lodging a Request for a International Movement Records form. Provide proof of your SCV status. You can do this by sending your visa details including your Full Name, Date of Birth, Passport Number and Country of Passport to us by email at ecaf@mq.edu.au. Certificate of application for a Tax File Number, Tax File Number advice or notification of assessment of income tax dated from when you were a minor. Request to complete a paper copy of the relevant HELP form. You can obtain this by coming into the our Student Connect space in MUSE (C7A), Level 2 or by sending us an email at ecaf@mq.edu.au with your address and we can post the relevant form to you. The forms should be available from mid-January 2016. Please note: you must have an approved HELP form submitted to the University by the relevant census date to be eligible to defer your fees and/or receive the discount for a particular session. If you are unable to provide proof of your SCV status, and/or submit your approved HELP form in time to apply to defer your fees, you will be required to pay your fees upfront and in full to the University for that session. HELP loans will become available to eligible NZ SCV holders from 1 January 2016 (i.e. for units of study with a census date on or after 1 January 2016). You can find out more or get some help by visiting Student Connect in MUSE (C7A), ask a question online or call us on 02 9850 6410. You can also read more about this legislation change from the Department of Education website. Tuition fees are set by Macquarie University. Each study period, once you’ve enrolled into unit(s), you can check your fees in eStudent, selecting the “My Finances” menu. Please Note: Invoices are not sent to students, all payment details are found in your eStudent. Session 2, 2016 fees are due 29 July 2016. For any other sessions, please refer to the following information for the relevant due dates. Select > “Email my Statement of Outstanding Charges”. Please arrange for full payment of your tuition fees and student services and amenities fee (if applicable) by the relevant payment due date. Failure to make a payment to the University or lodge the appropriate HELP forms by the census date may result in cancellation of enrolment. A $200 late payment fee will be incurred on all payments made after your payment due date. For students enrolled in session based units the "Payment Due Date" is the Friday before the session begins. View a full list of census dates. The "Payment Due Date" is about 4 weeks before the census date for these sessions. View a list of Due Dates and Census Dates for non-session based courses in 2016. Pay your fees upfront directly to the University by the due date using one of the methods detailed below. If you have an outstanding Student Services and Amenities Fee (SSAF) you may also like to defer this to the ATO by completing a separate SA-HELP application. The SSAF you are required to pay may vary depending on your student status and study load. The SSAF is adjusted daily in your account. You will be liable for any changes that you make to your student status and study load at the census date. Please Note: the SSAF does not trigger into your account until roughly 2 days after enrolment in units. Don’t forget to check your > My Finances account at this time to check how much SSAF you may owe. All eligible students (except eligible New Zealand citizens) who wish to defer fees can complete the relevant online Commonwealth Assistance Forms (eCAFs) on eStudent. New Zealand citizens will need to request a paper version of the form. Please refer to link below on how to do this. Note: If you have already submitted the relevant approved HELP eCAFs, this will cover your program of study as long as the program has not changed. The fee charges will be transferred from your student account approximately two weeks after the census date of 26 August 2016. ** You may have heard that the government has removed the upfront discount from 1 January 2017. If you are an Australian citizen, eligible New Zealand citizen or Humanitarian visa holder in a Commonwealth Supported course only – you may like to consider paying your fees upfront for session 2, 2016 to take advantage of the 10% discount on any payments of $500 or more before it goes. You can pay your fees directly to the University using one of the methods below. Please note that if you have recently made a payment, your account will be updated within 3 business days. Use Visa, MasterCard via the University's new online payment facility in eStudent > My Finances. Computer facilities are available on campus. Reference number: Your 17-digit reference number is printed on your Statement Of Outstanding Charges. Contact your participating bank to make a payment directly from your cheque, savings account or credit card (Visa, MasterCard or American Express). 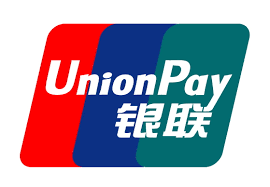 UnionPay card is accepted at the Cashier's Office in the Lincoln Building C8A and Western Union. Use Visa, MasterCard or American Express by telephone on 1300 301 043 (for the cost of a local call within Australia). This service is available 24 hours a day, 7 days a week. Please have ready your 17-digit Reference Number (printed on your Statement Of Outstanding Charges), your credit card number and a pen ready to record your receipt and date paid. Please write your student ID on the reverse of your cheque/money order and allow sufficient time for mail delivery. The University accepts no responsibility for delays in the mail. You may pay using EFTPOS, MasterCard, Visa, American Express, cheques, money order. A FEE-HELP loan is repaid through the Australian Taxation Office (ATO). You must provide your Tax File Number to the University by the census date. 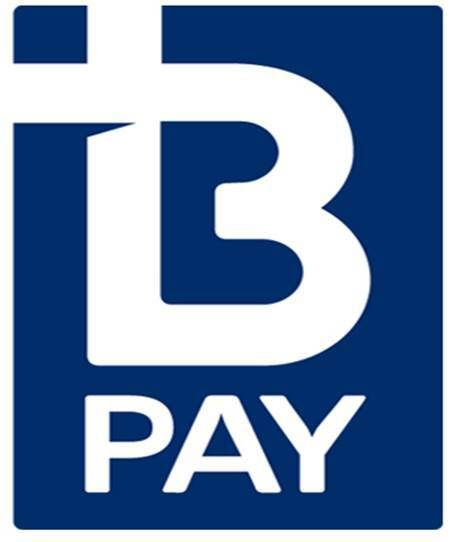 Repayment will commence once your income is above the minimum threshold for compulsory payment. For 2016 the threshold is set at $53,345. There is a 25% loan fee for FEE-HELP loans for undergraduate courses of study only. The upfront discount of 10% for Commonwealth Supported Students who pay their tuition fees upfront. The voluntary repayment bonus of 5% for students who make upfront payments of $500 or more for any HELP debt to the Australian Taxation Office (ATO). From 1 January 2017 these discounts will be removed. For more information regarding these changes, please see the Government’s StudyAssist website. The upfront discounts will be removed from 1 January 2017 (ie for units of study with a census date on or after 1 January 2017). If you are repaying your HELP debt back to the ATO, please do so by 23 December 2016 to ensure the repayment bonus applies. ATO systems may not be available after this date. For 2016 only, if you pay upfront, the discounts will continue to apply. However after 1 January 2017 you will not be entitled to a discount. If you are an Australian Citizen, Humanitarian Visa Holder or eligible New Zealand Special Category Visa Holder, you will still be able to defer your fees to the ATO provided you have completed a valid and approved HELP form for your course and you have provided your Tax File Number by the relevant census date. Alternatively you can continue paying your fees 100% upfront to the University. How are my repayments for my HELP debt affected? 1 June 2016, your HELP debt will not increase by the consumer price index (roughly 2-3%) in 2016 and you will still be eligible for the 5% bonus on your repayment. For information on making repayments to the ATO, and how the consumer price index relates to your payments please see Loan Repayment page on the StudyAssist website. Currently, payments for units in the same study period with the same census date attract a 10% discount if you are eligible for the discount. This means that a payment of at least $500 towards a student contribution before the census date entitles you to receive a 10% discount on the amount paid. In 2017, the removal of the discount means you pay 100% of the fee. For further examples on this discount please refer to page 19 of the StudyAssist HECS HELP booklet. Currently, voluntary repayments of $500 or more receive a 5 per cent bonus. This means your account will be credited with an additional 5 per cent of the value of your repayment, not 5 per cent of your outstanding debt. For example, if you make a voluntary repayment of $500, the bonus increases the value of your repayment so your account will be credited with $525. In 2017 once the discount is removed, if you pay $500 your repayment will reduce by just $500. If you wish to pay your fees upfront, please do so by the relevant session payment due date to avoid a $200 late payment fee. You will be able to view this on eStudent once you enrol in any unit. The Department of Human Services (formerly known as Centrelink) offers many financial support options to students such as Youth Allowance, Austudy and ABSTUDY. More information can be found on their website. In 2008, Youth Allowance and Austudy assistance was extended to eligible students undertaking masters by coursework study in approved courses. the only pathway provided by the higher education institution following a restructure of existing course delivery. For information about their eligibility, Masters by coursework students should contact Department of Human Services (Centrelink). Macquarie does not have any postgraduate Diploma or Certificate level courses approved for benefits. Our courses are re-assessed by our university Governance team for eligibility in June - July. If you would like to discuss this further or the possibility that this course could be approved for benefits, please refer to our Governance team by sending an email to ask.edu.au and include "PG courses for Centrelink- Governance Team" in the subject line. For more information regarding FEE-HELP please refer to the Study Assist website. For more information regarding the fees and charges for Macquarie University please refer to our Student Contribution and Tuition Fees webpage. For more information on how and when to pay fees and charges please refer to the Office of Financial Services.